“Tom Rask put into action his belief of preserving the wonders and beauty of this world. Knowing Tom was an experience in knowing the gift of simplicity and satisfaction received in everyday life. His life reminds me of the Shaker hymn “Tis the gift to be simple, ’tis a gift to be free” and I believe that Tom did find much pleasure and freedom in his love of nature. “I remember many times talking to Tom about his work with the Sierra Club. He was always working on a new poster or putting out the newspaper. His dedication and service to the club was his passion,” said dear friend Susanne Barker. “John Muir, legendary founder of Sierra Club, believed that unspoiled nature was direct revelation and contained the salvation of the world. Tom’s service in John Muir’s spirit as an artist and teacher by example was infectious. Artists and teachers never know all of the hearts they touch and minds they open, but Tom knew many from all walks of life and reached many more through his steadfast support of Sierra Club and its mission, and his commitment to peace and honorable dealings. 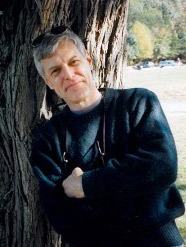 Tom served as artistic director for the NEO Sierra Club News for over 30 years. He enlivened its pages with his superb photography, aesthetic sense, and gentle, playful humor. His graphics carried many a display, flyer, poster, and demonstration,” said Bob Greenbaum, former NEO Sierra Club Chairperson. “Tom Rask lived what he believed and worked tirelessly for progressive causes, not to mention the tremendous work he did for Sierra Club. I will miss him. The world is a better place because Tom lived and worked with us,” said Kathryn Brock, former Sierra Club Newsletter Editor. Tom spent his whole career in the CWRU Publications Department where he contributed mightily to its many publications and promotional materials. Rask’s career included multiple awards from the University and College Designers Association and the Council for Advancement and Support of Education. Services were held March 17, 2012 at the Unitarian Universalist Society of Cleveland. Rask is survived by his wife of more than 40 years, Jeri, his daughters Kristen Rask and Chelsea Van Rask, his son-in-law David Van Rask and his two-month old granddaughter, Remy Van Rask. He also leaves his sister, Patty Farukh, and nieces Yasmeen and Misty Farukh. In lieu of flowers the family suggests donations to Sierra Club or Doctors without Borders. Please include your contact information in case there are questions and remember that donations to the club are not tax deductible; they support our effective, citizen-based advocacy and lobbying efforts. If you prefer to make a tax-deductible gift, please make your check payable to Sierra Club Foundation and send it to us at the above address.